In April 2002, I was fortunate to attend the annual Tartan Week in New York celebrating Scottish heritage and culture and our contribution to the United States. In downtown Chelsea, the Distilled contemporary music festival included Mull Historical Society and the talented young Jazz Saxophonist Tommy Smith, who wowed the crowd of young Manhattanites. As a teenager, Smith left Edinburgh to take up a scholarship at Berklee College, Boston and it seems that American music has been the heart and soul of his work ever since. 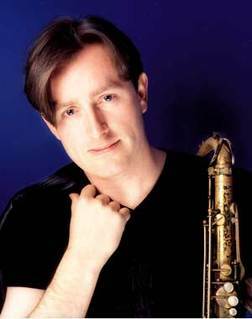 Twenty years ago, he founded the Scottish National Jazz Orchestra in order to promote the world of jazz, inspire young musicians, performing and recording afresh the works of Ellington, Gershwin, Gillespie, Goodman, Monk and Miles et al. 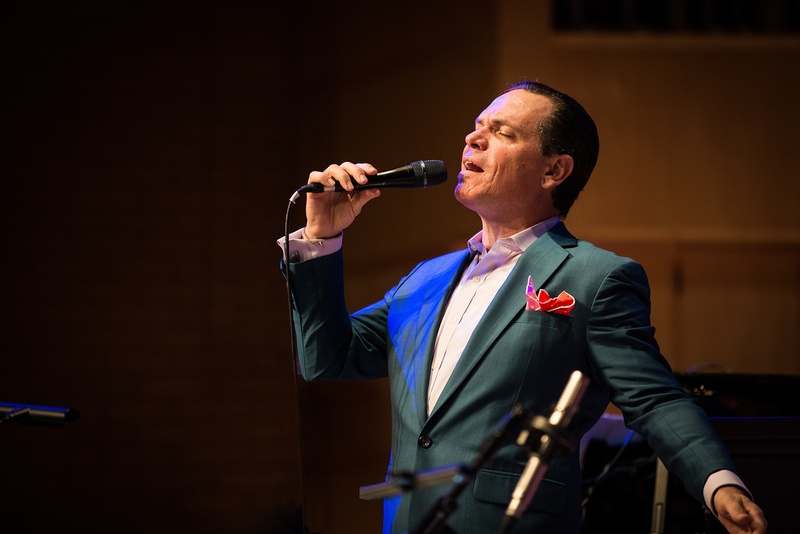 The “Kurt Elling Swings Sinatra” concert tour over the past week brought the SNJO together again with American guest star Kurt Elling as a centenary tribute to the voice, the music, the man, the legend. 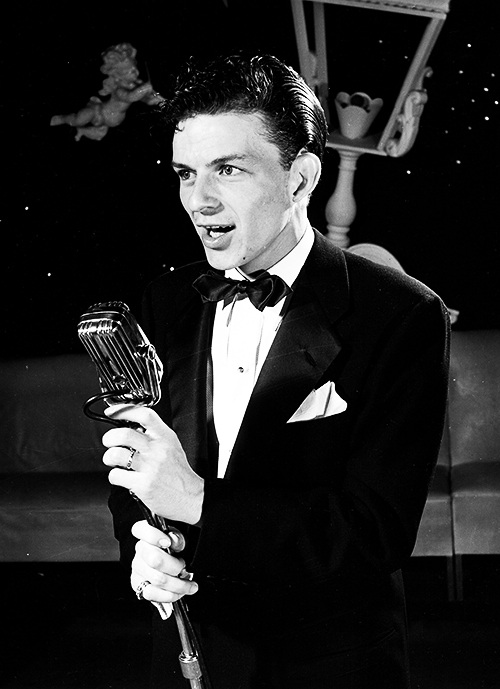 Sinatra was born in Hoboken, New Jersey on December 12, 1915, the only child of Italian immigrants. As a young boy, he would sit at the waterfront staring across the Hudson, just a ferry boat ride to a different world – Manhattan. 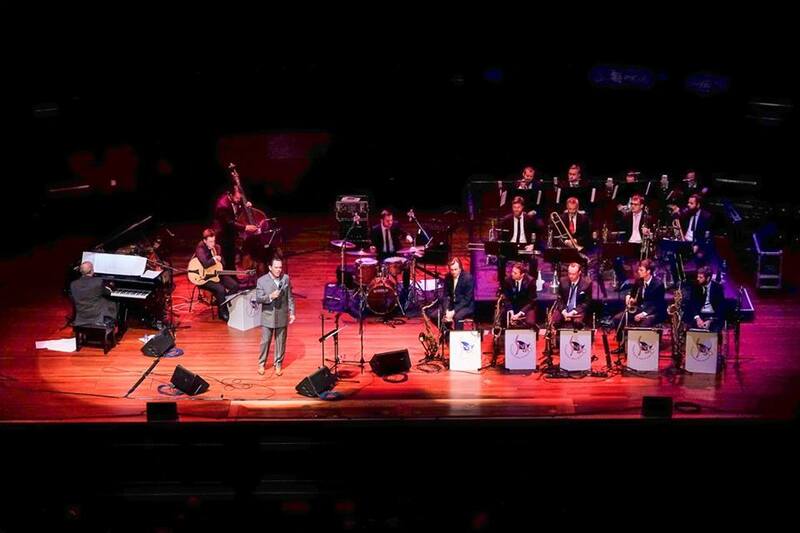 On Saturday night, the Usher Hall there was a near capacity audience (an age range across the generations from around 21 to 81) to hear those enduring Sinatra songs set to the melodic sound of an American Big Band. 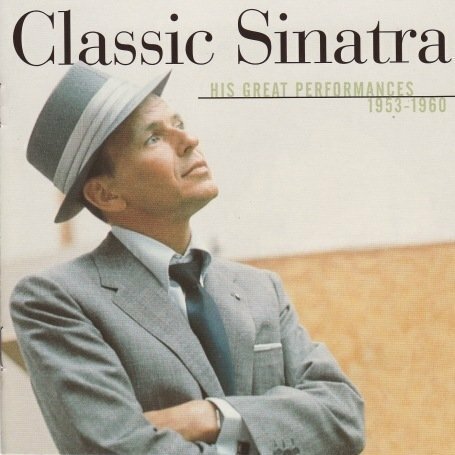 He is immaculately dressed in a double breasted grey suit, with orange silk lining, (Sinatra’s favourite colour) and with the SNJO Big Band in formal black tie, there’s an evocative, nostalgic sense of 1950s debonair style. Elling is also an excellent narrator, telling stories about Sinatra’s life, career and background to the songs; 1,400 recordings, Grammy awards galore and, bizarrely he adds, Frank has 5 million Facebook Friends!. We are treated to a broad repertoire – I Only have Eyes for You, The Good Life, I’ve Got You under my Skin, In the Still of the Night, Luck be the Lady, My Kind of Town….and many more familiar ballads. But this is not a performance which aims to parody or imitate Sinatra. Elling’s rich baritone vocal range spans four octaves with such masterly control of lyrical phrasing; at times it seems he does not take a breath throughout a complete verse. 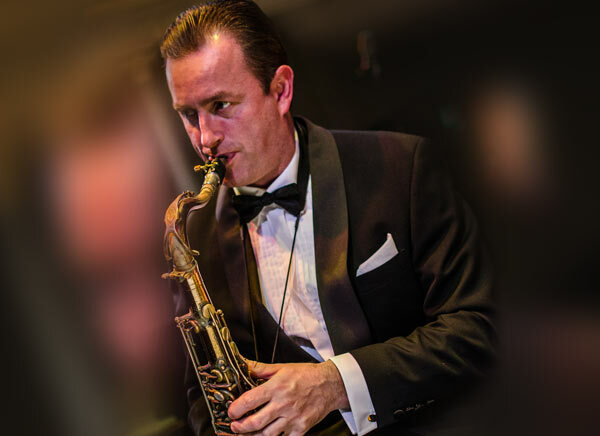 He is accompanied by the exciting, exuberant musicianship of the SNJO which leads the underlying rhythm and tone, from gentle, romantic mood to raunchy, foot-tapping swing. Tommy Smith as well key members of the orchestra perform stunning solos, improvising and enhancing the original harmonies with cool and colourful jazz-blues beat. Kurt Elling and the SNJO well deserved the enthusiastic applause and a standing ovation for this sassy, sophisticated show: a magical, passionate celebration of such an iconic songbook and timeless music. Scottish National Jazz Orchestra – 20th anniversary, 1995-2015. 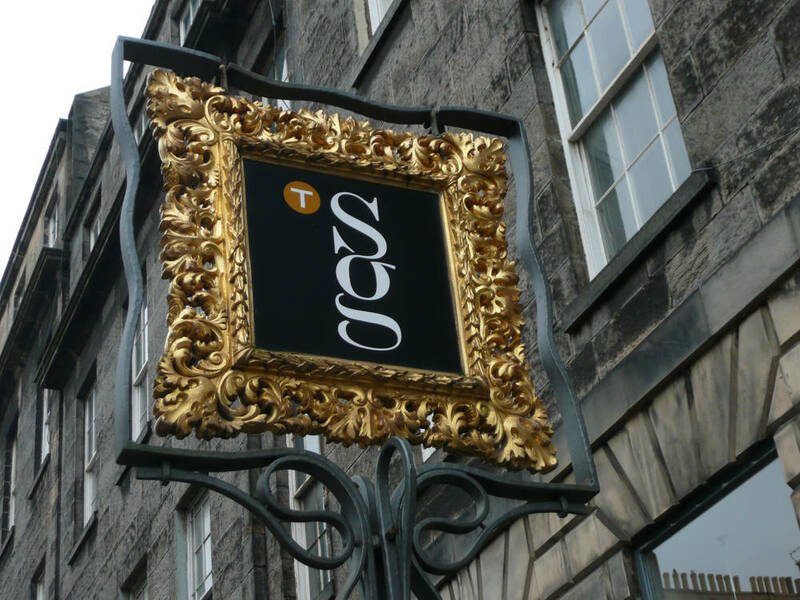 From its founding as Aitken Dott, ‘Gilders, Framers and Artists’ Colourmen’, on South St. David Street, the Scottish Gallery has continued the business as Contemporary Art Dealers for nearly 175 years. The palatial light-filled space on Dundas Street presents monthly exhibitions covering a select range of paintings, prints, ceramics, glass, jewellery, sculpture and silverware. The May exhibition presents the work of a quartet of artists – the pioneering artist-explorer, Derrick Guild, Japanese ceramicist, Tsubusa Kato, superlative jeweller, Nel Linssen and the delicate watercolours of Angie Lewin. Mother Figures is the first major solo show at the Scottish Gallery by Perth-born artist, Derrick Guild, who is internationally renowned from London to New York. A few years ago, Guild had the opportunity to experience an extended visit to Ascension Island which lies south of the Equator in the middle of the Atlantic Ocean. Like a Garden of Eden, he was able to observe, like a latter-day Darwin, the curious range of plants and animals, far from their native Africa, Europe and South America. An artist’s escape for a remote island life is not without precedent given Gauguin’s passion for the Marquesas islands – its women and seascapes – in the South Pacific. Guild’s painstakingly detailed work is necessarily a lengthy artistic process. The viewer too needs time to study these remarkable paintings of flora and fauna based on exquisite animal and botanical drawings. 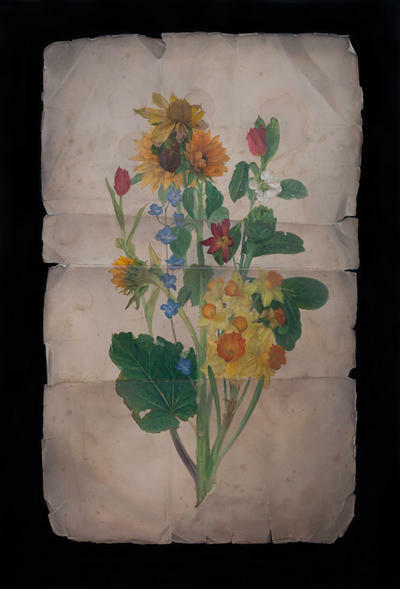 The cream on black background gives the appearance of stained, dry parchment, with the clear impression of rips, tears and dog-ear folds as if an ancient sheet of paper has now been unwrapped after many years. 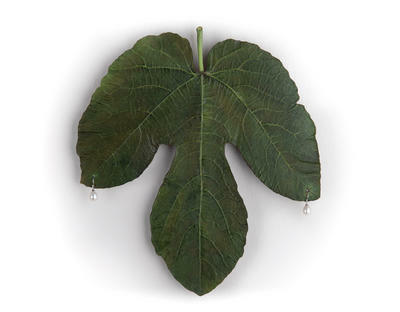 Inside museum-style glass cases or hanging on the wall, there are also remarkable resin sculptures of fruit and vegetables – giant oranges, diamond studded parsnips and potatoes, and a leaf with pearl ear-rings. 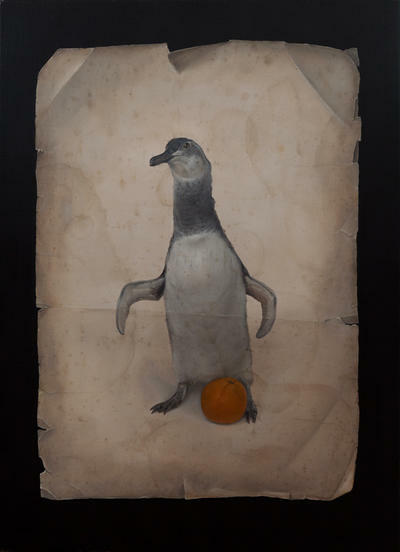 With inspirational insight, Guild’s iconic art form both imitates and re-imagines his own view of the Origin of Species – a complex blend of naturalist authenticity and surreal wit. Think Dali’s elephants and lobster telephone. 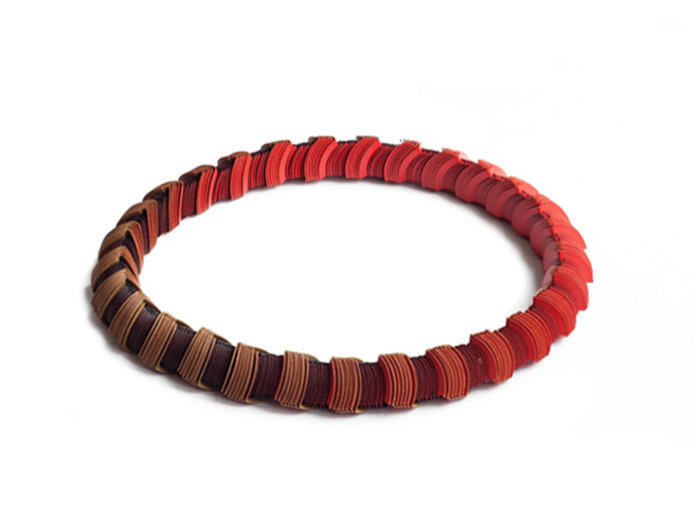 Nel Linssen’s 80th birthday is celebrated by a retrospective of her innovative, light as air, paper jewellery. Nel initially trained as a pattern cutter which led her to experiment with 3D paper crafts. Here is a magical showcase of vintage and new necklaces and bracelets, handcrafted from ingeniously entwined paper discs: pure magic in design, texture and shimmering shades of light and colour. Tsubusa Kato is showing his first solo show here, in collaboration with Sokyo Gallery, Kyoto, Japan. This is a cool, calming collection of porcelain entitled A World of White – smooth, snowy New Zealand clay crafted into slender vases, tiny bowls and plates. 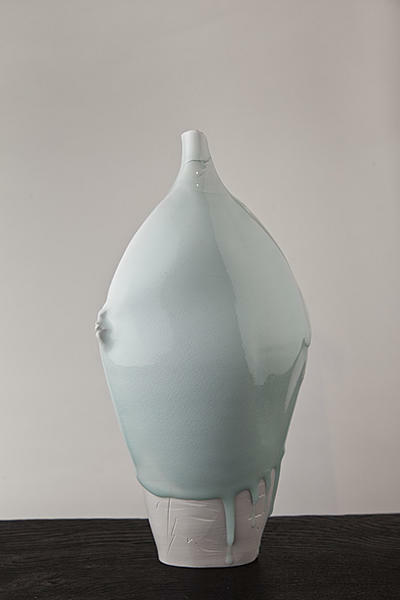 Kato’s decorative touch is the addition of a duck egg blue celadon glaze which looks as if it is still wet, dripping in a graceful flow down the side or centre of each delicate white creation. And then next door into what I call the Garden room (from here you can step outside to see sculptures amongst the plants). 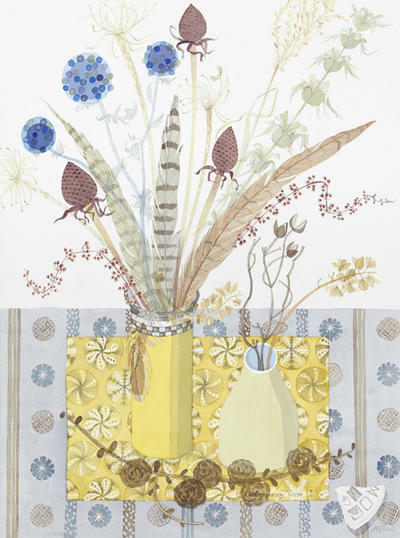 Angie Lewin moves between town and country, from Edinburgh and Speyside; thus her sketchy-stylised watercolours illustrate both the Highland landscape of woodland, river and hills, as well as homely Still Life studies of vases of wild flowers on a kitchen table. Across these four distinctive, delightful, contrasting exhibitions, the artists share a common theme, a tangible thread to express their vision of beauty, life and living in the natural world. The Exhibition continues until 30 May, 2015. 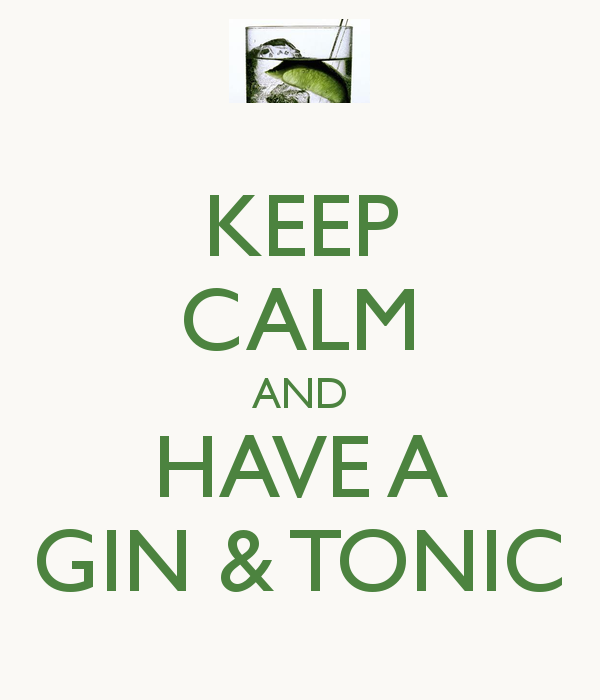 Enjoy a refreshing Scottish G & T this summertime! This is a country where, historically and culturally, the national drink is Scotch Whisky. But today more Gin is consumed in Edinburgh per head of population, than any other European city. We are certainly a cosmopolitan crowd! My favourite places for sipping a refreshing Gin are Juniper (20 Princes Street), whose mixologists create dazzlingly inventive cocktails, and One Square, at the Sheraton Grand under expert head bartender, Hugh Gibb, who knows everything you would need to know about the cool, clean spirit from Plymouth to Mare Mediterranean. 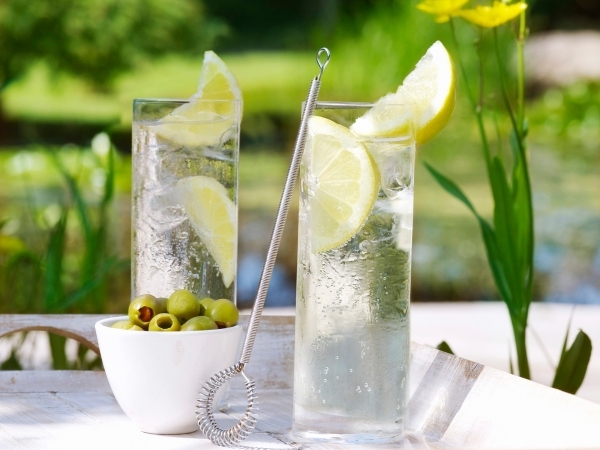 Gin and tonic … the quintessential summer and anytime cocktail hour aperitif in the UK, but when did the craze all begin …? If you are a G&T fan, you need to raise a glass to Sylvius de Bouve, a sixteenth-century Dutch physician. He created a highly-alcoholic medicinal concoction Jenever. It featured the essential oils of juniper berries to aid circulation, digestion and other ailments, including the plague. English soldiers discovered it during the Dutch War of Independence, and nicknamed the drink “Dutch courage,” but the word gin is a derivation of the Flemish word genever. The history of Tonic Water begins in 17th century Peru when Spanish colonists discovered a treatment for malaria in the bark of the quinaquina tree. The Countess of Chinchon, the Peruvian viceroy’s wife, took the bark to Spain around 1640 after it saved her from malaria. In 1817 French scientists Pelletier and Caventou found a method for extracting the quinine to create an anti-malaral drug; bottles of sweetened quinine water were later produced followed by carbonated tonic water. India, 1825 – British officers began to mix gin with their daily ration of quinine tonic to make their medicine mire palatable ….and alcoholic. After the “Indian Mutiny,” the British Crown took over the governance of India with a growing number of resident colonial families, the era of the British Raj, which increased the demand for quinine and popularity of gin and tonic. 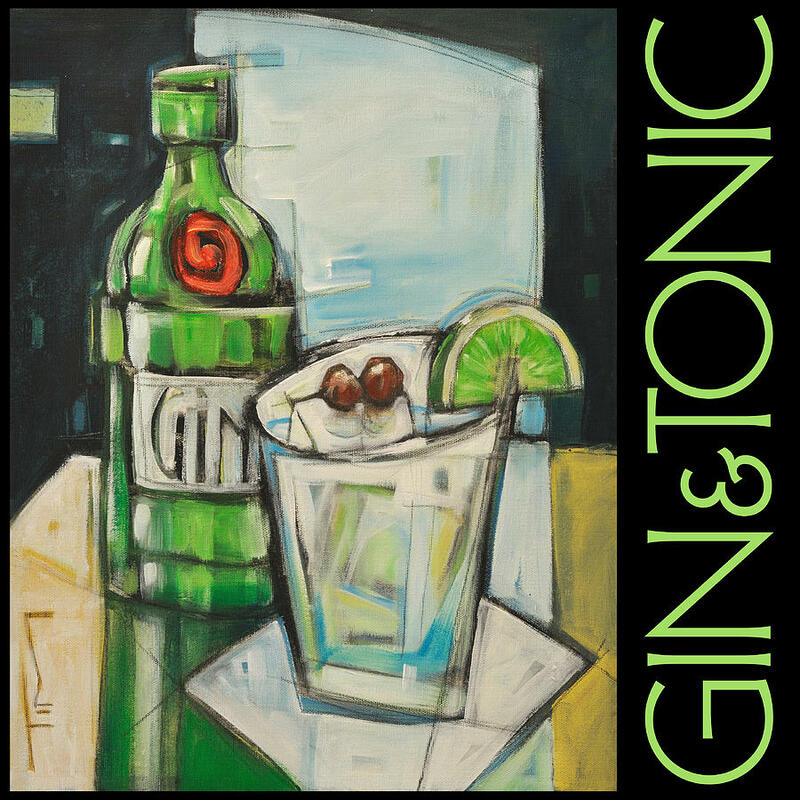 In recent years there has been a rapid expansion of gin distilleries in Scotland – 70% of gin in the UK is produced here including three bestsellers – Hendrick’s, Tanqueray and Gordon’s, the world’s number one London Dry Gin. And from Orkney to North Berwick, there are small batch gins – Blackwood, Edinburgh Gin, NB, Pickerings. Whisky distilleries in Speyside and Islay now produce, respectively, Caorunn and The Botanist. New artisan, hand crafted brands – Heather Rose in Perthshire, Crossbill in Aviemore, Rock Rose in Caithness and Darnley’s View London Dry Gin & Spiced Gin produced by the Wemyss family in Fife. And that’s just a selection. Instead of asking just for a G&T these days, most of us will select our preferred brand … but not likely to suggest a pairing of a certain tonic. Schweppes, Fevertree and Fentimans are the usual suspects with perhaps just one house brand of Tonic offered by a Barman. But we now need more choice to match the distinctively different Gins being carefully concocted across Scotland. Summerhouse drinks (the very name makes you feel the warm sunshine and garden parties), already makes natural lemonades and craft sodas (misty lemonade, Scottish raspberry lemonade, hint o’ mint and lavender lemonade). 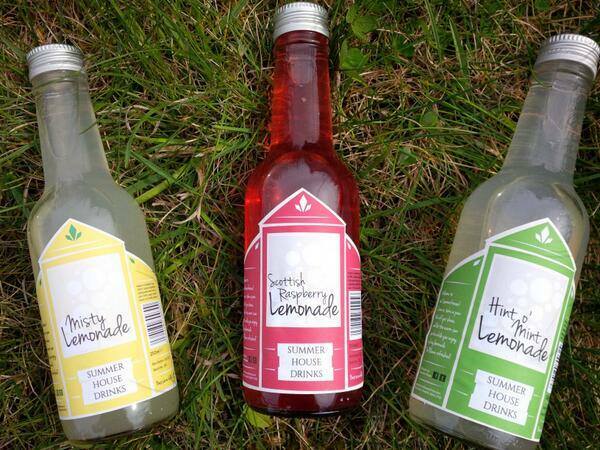 In 2014 they were a Finalist in the Scottish Food and Drink Excellence awards for their non-alcoholic drinks. Summerhouse drinks has now been extremely innovative to embrace the flourishing Scottish gin market to create the new Walter Gregor’s Tonic Water, hand crafted on Manse Farm, Aberdeenshire. The natural ingredients include citrus flavour, quinine and carbonated Scottish water. But what’s behind the name Walter Gregor? Walter Gregor was a Minster of the Parish in Pitsligo from 1863, as well as being a folklorest, academic, natural historian and lover of plants – a ‘cheerful, humorous man”. And it is such a wonderful idea that the key botanicals for the Tonic are grown in Gregor’s former garden at the Manse. A special party was held at Dragonfly Bar, Edinburgh to launch this new Scottish Tonic water. On arrival, guests were offered a high ball glass of Rock Rose Gin, a sparkling splash of Walter Gregor’s Tonic, lots of ice and served with orange peel and fragrant rosemary. 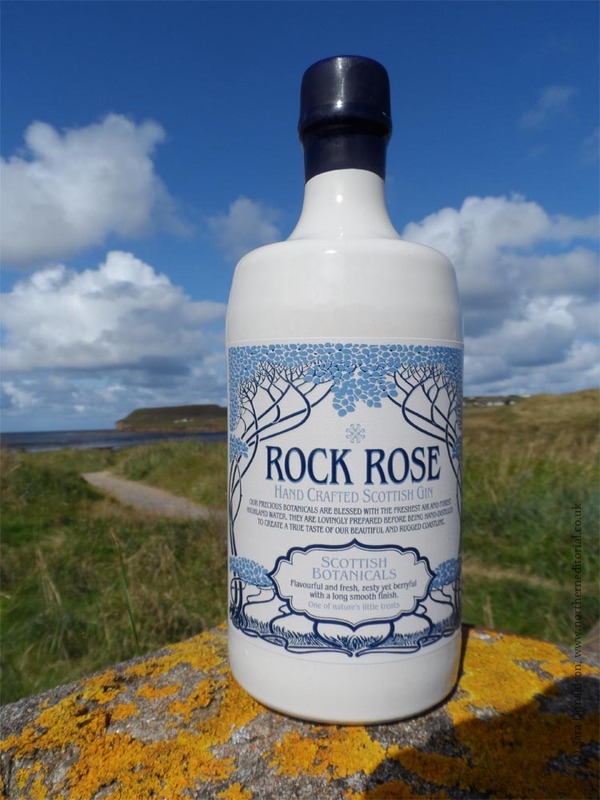 Rock Rose hand crafted Scottish gin is a concoction of “precious botanicals blessed with the freshest air and the purest Highland water …. hand distilled to create a true taste of our beautiful and rugged coastline”. To accompany this deliciously refreshing G&T, there was a fine selection of canapes from Fresh Food Express such as Bombay potato with gin soaked cucumber, Hot smoked salmon, Arbroath Smokie pate, Beetroot and Cream Cheesy nibbles. After this mini foodie feast, time for another G&T. This time, I tried Caorunn Gin with Walter’s tonic, served with thinly sliced red apple. 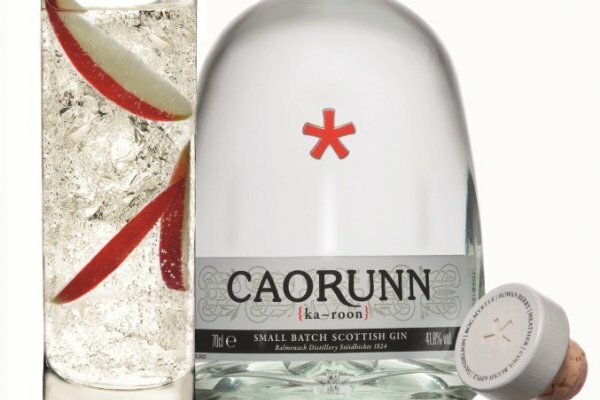 Caorunn is an artisan, small batch, pure grain gin, with wild foraged fragrant plants and natural Scottish Water produced at the Balmenach Distillery in the Cairngorm National Park. There is a delicate taste, flavour and scent of each brand of gin which has been carefully created with a secret list of botanicals which blend perfectly with a particular fruit or herb garnish for your ice and slice accompaniment. 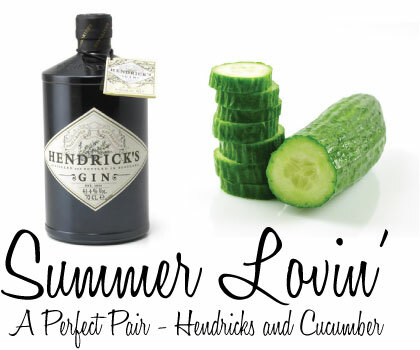 Hendricks should be served with a slice of cucumber, Gordons with lemon, Caorunn with a sweet, crisp slither of red apple. Rock Rose is superbly matched with orange peel and rosemary, Darnley’s View goes well with a slice of lime, Botanist – add thyme and lemon. 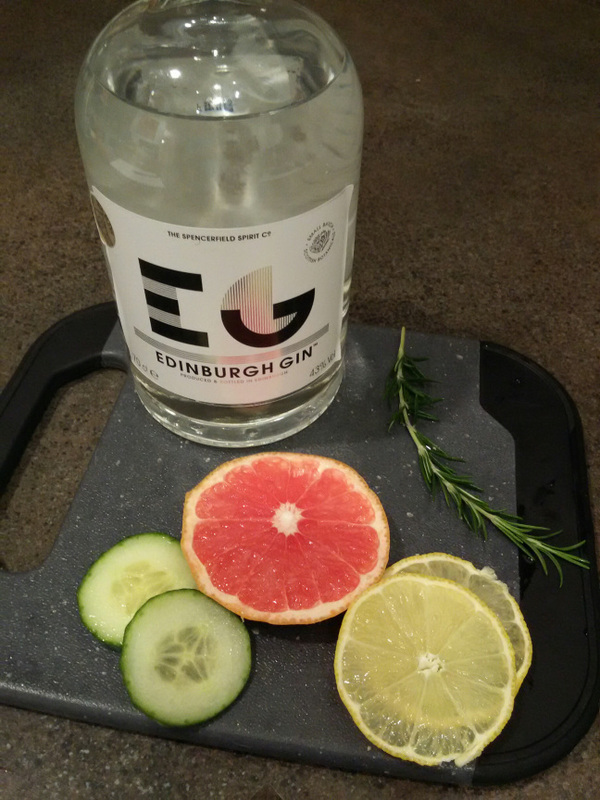 Pickerings is stylish with pink grapefruit and Edinburgh Gin is adaptable, with your choice of lime, lemon or rosemary …. What could be a better combination than a fresh tasting, flavoursome Scottish gin complemented by sparkling, natural Scottish Tonic created from Highland spring water. However you like to create your own refreshing G&T or a sophisticated Gin Cocktail – the art of mixing the famous tipple has certainly come a long way since the British Raj sipped their daily anti-malarial medicinal drink. Cheers or should I say, Good Health! 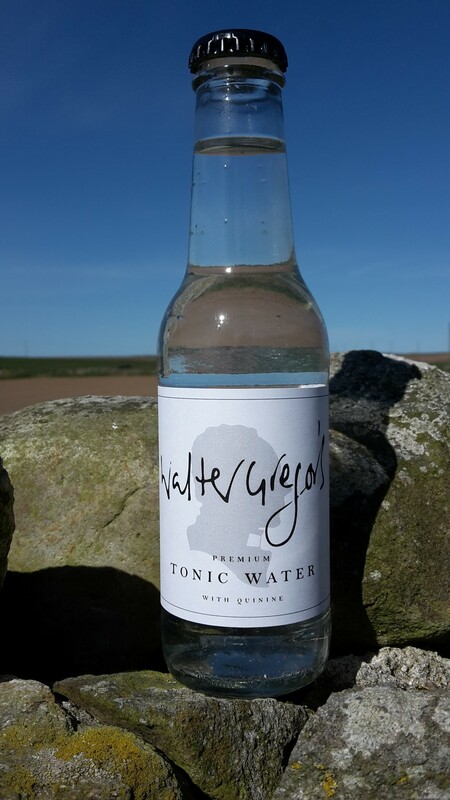 Walter Gregor’s Tonic Water, RRP £1.50 (220ml). The Scottish Borders, Scott’s beloved countryside, offers gentle, rolling landscape, rivers, lochs and a dramatic sense of history with its abbeys, castles and grand mansions. The quiet Border towns and villages preserve a rich literary, cultural and rural heritage: this is the home of fine tweeds and knitwear, sheep farms, world class fishing, walking and mountain biking and the Rugby 7s. Just an hour or so south of Edinburgh, Melrose in the heart of the Tweeddale valley is the ideal base to stay awhile and tour around. 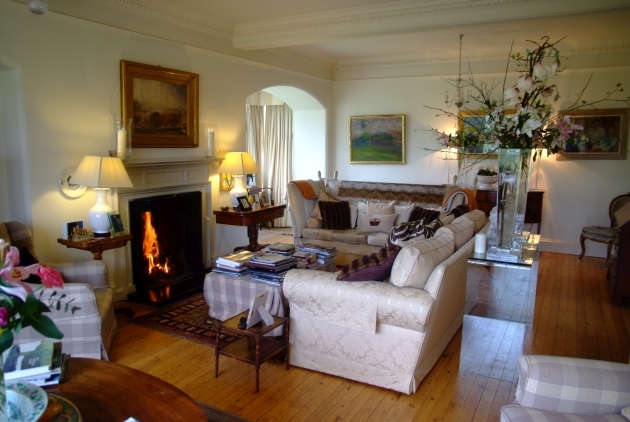 For perfect tranquility, scenic views and architectural beauty, I warmly recommend Fauhope Country House in Gattonside, just across the River Tweed from Melrose. Their private drive is up a rather steep and rugged road, but when you turn the corner at the top, my word! 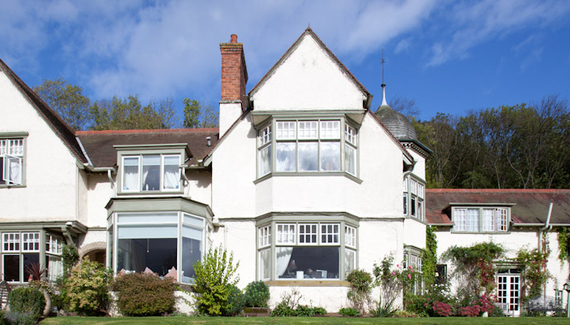 Surrounded by lovely gardens, this stunning white-washed Arts and Crafts house was designed by Sidney Mitchell in 1897 for Major General Lithgow, a shipping tycoon. With its gable roofs, turrets and bay windows, it’s charmingly, graciously elegant. As you step into the spacious hallway, the windows frame a panorama of the Eildon Hills across the valley. And this is the same magical view from our Turret Bedroom; decorated in calm shades of mushroom and cream, with antiques and period furnishings, it’s all very homely – soft towels, soaps, lotions and even emergency medication essentials in the spacious bathroom. All one would need to feel at home – armchairs, flat screen TV, a bookshelf of classics, crime fiction, poetry & local travel guides, not forgetting the tea tray and decanter of sherry for the weary traveller. 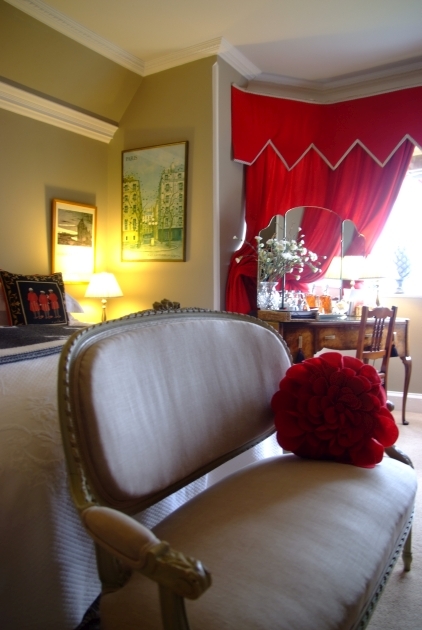 The bedrooms are all indivually designed with care. 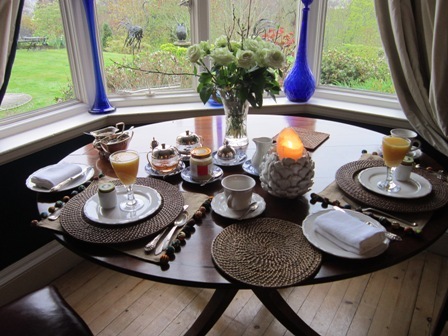 Fauhope has been owned by Ian and Sheila Robson since 1986 and for the past fifteen years they have opened their door to welcome Bed and Breakfast guests. It remains very much their family home decorated with personal photographs, artwork, ceramics, books and a child’s rocking horse; huge vases of flowers throughout the house, arranged with style. 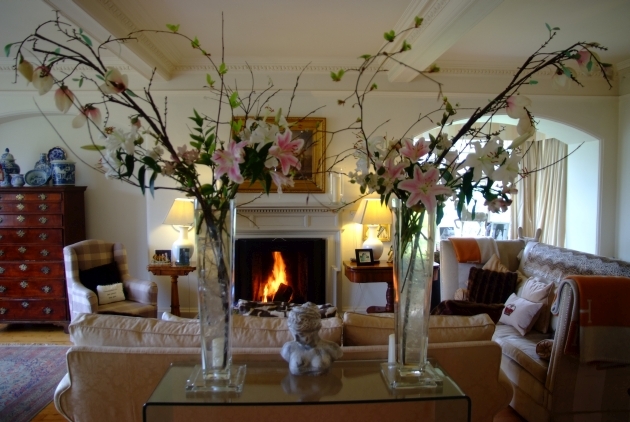 In the Lounge, it was so lovely to sit in front of the log fire to enjoy a cup of tea and home made chocolate cake. Sheila and Ian love to chat with their guests to ensure that they experience a great time while visiting the Borders, suggesting what to see and do. If they are free to do so, they will even offer to drive you over to Melrose for dinner so that you can have a drink or two!. There are some excellent places to eat out, such as the cosy Burts Bar serving hearty pub grub. Marmions Brasserie is also a well established and popular place for locals and visitors. Its name is inspired by the epic poem, Marmion; A Tale of Flodden Field by Walter Scott. This is like a country inn with pine wood furnishings and paintings for sale around the walls. Border country is renowned for its meat, game and seafood and the Marmion’s menu emphasises the provenance of food with local Salmon, Venison and Lamb. I selected delicious Fish cakes and Seabass, Mediterranean vegetables and crushed potatoes; across the table, Ken had Arancini and then a huge platter of Eyemouth haddock and chips. You can’t get fresher than this. The well selected Scottish cheese plate was excellent and with a bottle of fruity Merlot, this was a very tasty dinner indeed. Then it was just a quick taxi ride back to Fauhope Country House. You are sure to sleep well in this quiet rural retreat, with just the dawn chorus of bird song as a gentle alarm call. Breakfast is a gracious affair served in the blue-painted, art-filled dining room. Classical music on the soundtrack. Our table, with lovely garden views, was laid with linen napkins, vintage silverware, crystal bowls. First a glass of freshly squeezed orange juice and a selection of cereals and fruit – berries, prunes, apricots and Sheila’s own rhubarb compote – this was all delicious with natural yogurt. You can then expect a choice of Full Scottish (bacon, eggs, mushrooms, potato scones et al), scrambled eggs with smoked salmon. and perhaps the Edwardian dish, kedgeree, all in keeping with the period of the house. With toast and marmalade and a large pot of coffee, this was a fine start to the day. From the Visitor’s book at Fauhope, it seems that many guests stay here before and after setting off to walk the St. Cuthbert’s Way, the 62 mile, ancient pilgrimage trail to Lindisfarne, the Holy Isle. The Borders is an adventure playground for outdoor activities, fishing, biking, hiking and hill walking. 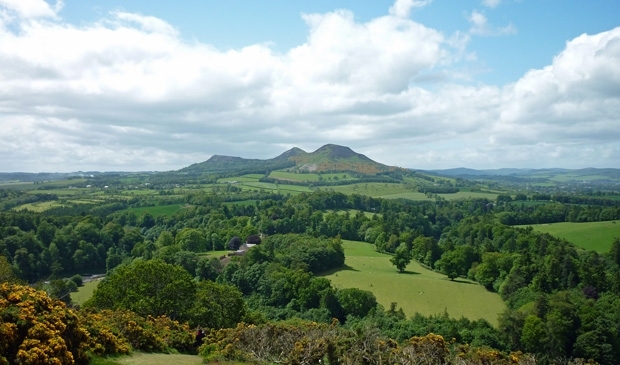 The magic mountain in the Eildon Hills was believed to be sacred by the Celtic priests, who had fire festivals to ward off evil spirits, and still a place of mystery evoked in ballads and legendary tales. And at the heart of this local literary tradition, you can Abbotsford, the former majestic home of Sir Walter Scott, where you can view his library, study, and stroll in the landscaped gardens. 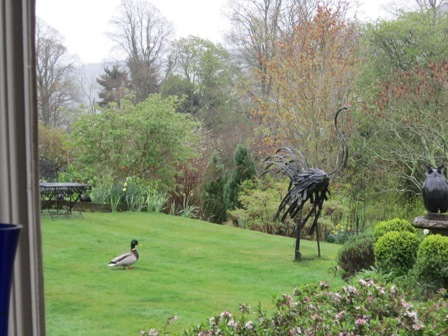 After a tiring day of exploration out and about, return to Fauhope to relax on the sofa in front of the fire, or a seat on the lawn surrounded by trees, flowers and extraordinary metal bird sculptures brought back from a trip to Zimbabwe. 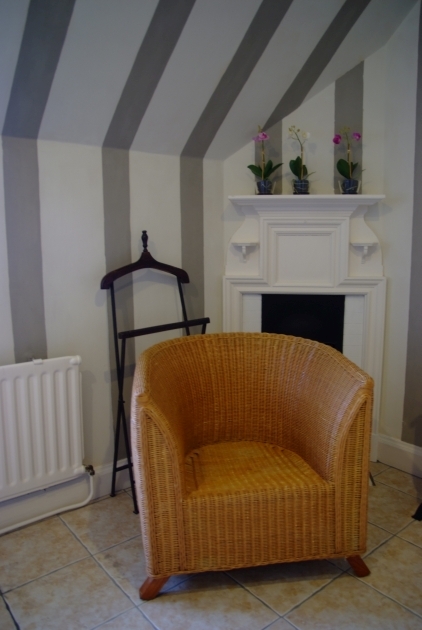 And you can also book a facial, massage or other beauty treatment from their in-house therapist. While it is best to have a car to tour around, you could certainly enjoy a few days at Fauhope and enjoy walking here and there. 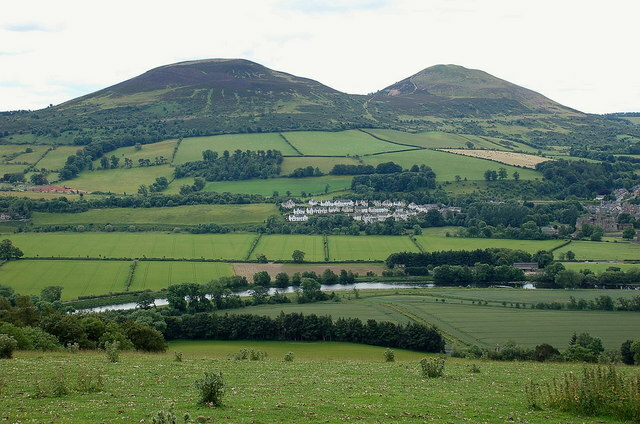 It is just a 15 minute stroll down the hill and over the Chain footbridge to Melrose with its many restaurants, bars, attractive shops, (antiques, tweeds, woollens, books.). And of course, do visit the dramatic ruins of Melrose Abbey.